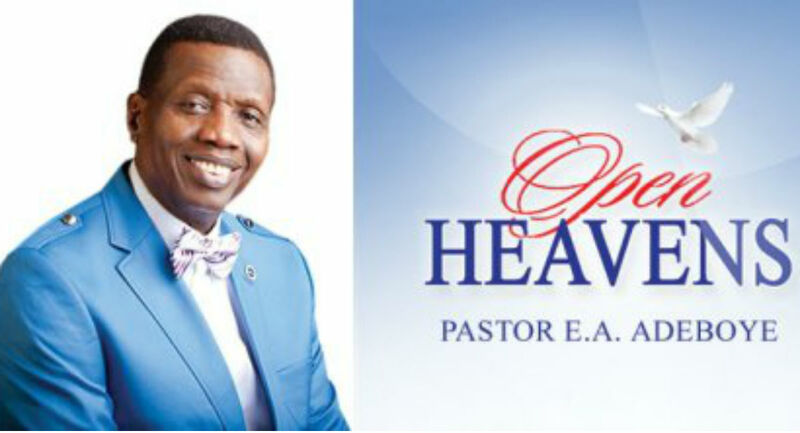 Open Heaven 7 November 2018 [Wednesday] Daily Devotional By Pastor E. A. Adeboye –Are You an Unfriendly Friend? Amen in Jesus Mighty Name. 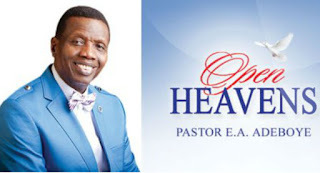 Father, deliver me from every unfriendly friend in Jesus name. Lord Jesus Christ, I see you as my best friend because you are always by my side. However, here on earth amongst Men I find it difficult to say that I have a friend. Please give me a friend just like you my Lord Jesus Christ. Father, i repent for anything i've said and did that made me an unfaithful friend to others. please forgive me for my sins. i forgive and bless those who tried to harm me, for they did not really know what they were doing. please help them to come to know you deeper. fill me with your love and respect to the overflow. i thank you for healing me of all the hurt and for giving me a new perspective. i want my life to be an offering to your glory Abba. bring people around me that need you. give me love and wisdom to act towards them as you did. even your friends deserted you all at some point. but you knew and you loved them beyond that. i want your unconditional love and respect for you and my fellow brothers and sisters. i thank you for all the pain that draws me closer to you. you are my everything! all i need is you!! more of you in my life.